As Donor Relations and Advancement Services Coordinator, Jan Yost is responsible for analyzing data for the Vice President for Advancement. She is also instrumental in providing support for the HU Foundation and other internal functions of the Advancement office. Before becoming a team member on the Huntington University staff, Jan held a wide variety of jobs, including work at an insurance office, a school office, a computer audit group and more. She graduated from Taylor University with a degree in accounting in 1982. Family is important to Jan, who lives in Roanoke with her husband, Kent. They have two daughters, Erin (’08) and Emily, and three granddaughters (soon to be four). 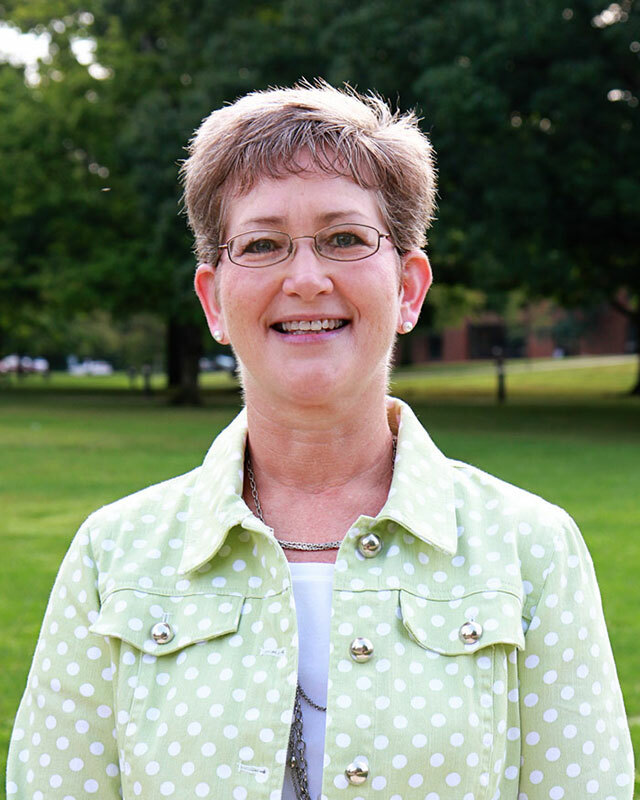 Jan also cherishes the family she has formed at Huntington University with coworkers and students. In her free time, Jan enjoys all sorts of crafts, including knitting, crocheting, scrapbooking and quilting, and also likes to read.